As the only female guitar-player Ana was added to the 2014-'16 'all-star' Experience Hendrix lineup; a nationwide tour celebrating the music and legacy of Jimi Hendrix w/ Buddy Guy, Bootsy Collins, Brad Whitford (Aerosmith), Jonny Lang, Kenny Wayne Shepherd, Zakk Wylde and many more world renown artists. She's nominated for five Blues Music Awards, appeared on the cover of Vintage Guitar and Guitar Player. Her albums 'Can You Stand The Heat' and 'Unconditional' where Pick Of The Week by USA Today and featured on NPR Music. Nearly all of Ana's albums made it the Top 5 of the Billboard Blues Charts and are being played regularly on US radio. 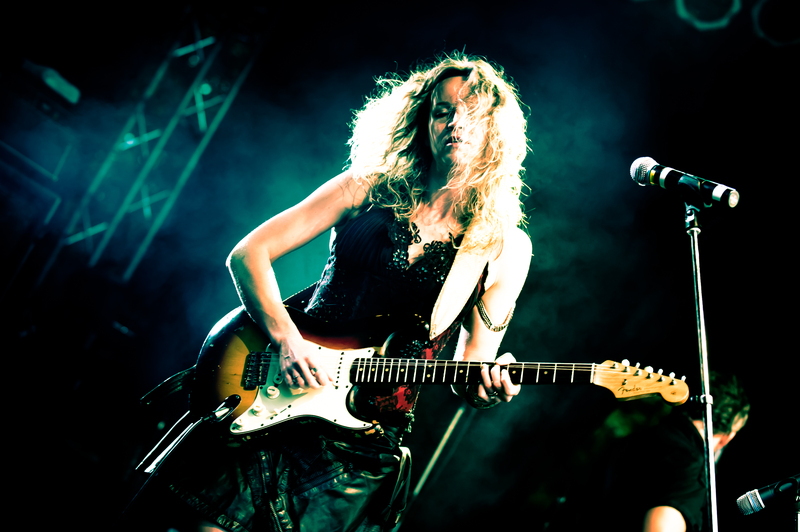 Ana and her powerful band are tirelessly touring, playing major blues, jazz and rock festivals. She is endorsed by Fender, Mesa Boogie, Ovation and DR strings. Ana has shared headlining stages with B.B. King, Buddy Guy, Joe Bonamassa, Gary Clark Jr., Jonny Lang and many others. When not on tour, she resides in Memphis, TN.